Step1: *In a sense, the rotor replacement is a continuation of the brake pad replacement, so perform the Brake pad procedures first. 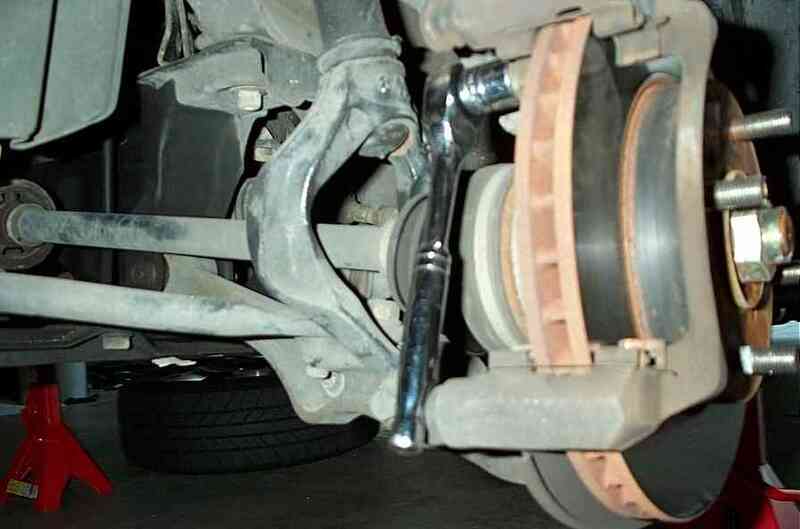 *NOTE: In addition to removing the bottom caliper bolt, you'll also be removing the top bolt to seperate the caliper all together. Step2: Remove the 2 bolts holding the caliper bracket in place. I believe it's a 19mm. It located near the hole for the caliper bolts about an inch inward. Step3: After removing the caliper bracket, use an impact driver to remove the 2 screws securing the rotor in place. Some screws won't be seized where you can use a normal screwdriver, but most will need the impact driver. Step4: While the rotor is off, it'll be a good idea to clean the surface area of the hub using brake cleaner. Step5: Place the new rotor on the hub. Some rotors will have the holes for the screws in the right place and some will not. If it doesn't, don't worry. The wheels hold it in place. 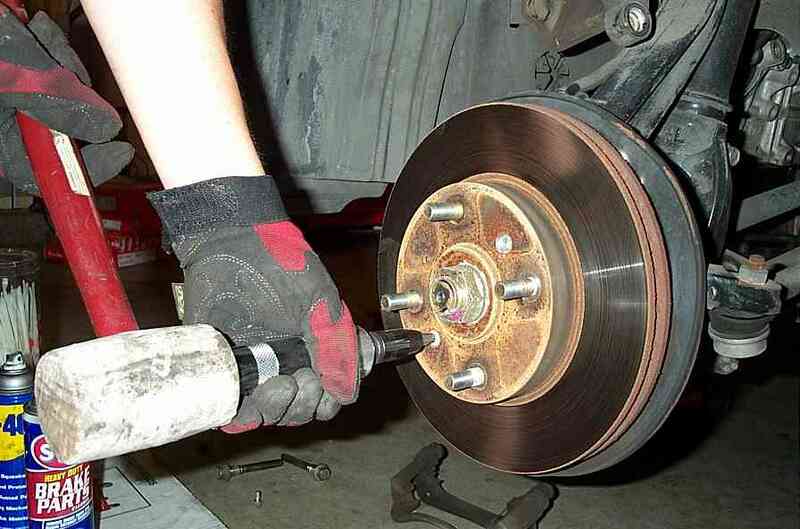 Step8: Make sure to pump the brakes once or twice to press the piston against the pads.